Distillation Column - Biodiesel Solutions – Biodiesel Machinery Equipment Projects. Uses: the distillation column contains a primary distillation tower and vice tower, which are required biodiesel refining equipment. Our company’s distillation equipment is diverse self-shunt vacuum distillation unit, distillation oil heating system uses a continuous distillation process under vacuum condition of crude methyl ester / distillation (rectification control reflux ratio). 2. 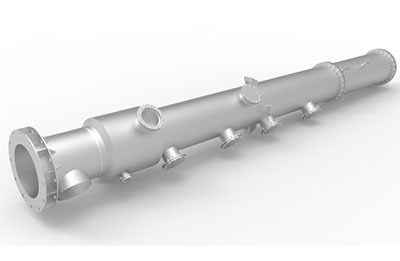 Cold material primarily exchanges heat with final product then it enters the distillation column, fully considered the secondary energy use and greatly saving production costs. 3. Deodorizing products in a portfolio with the main tower separation, the smell of gas through the sewage treatment pond AO microbial digestion after discharge. Not only reducing the heat loss, but also saving equipment investment as well as broadening the operating flexibility to production operations also brings great convenience.